Happy Monday! 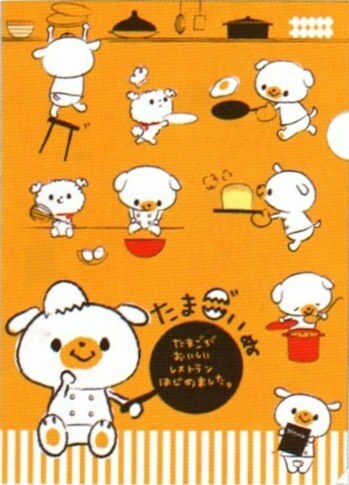 Here's a cute puppy character who loves eggs and loves to make egg dishes, especially omuraisu (オムライス) based on all the pictures. 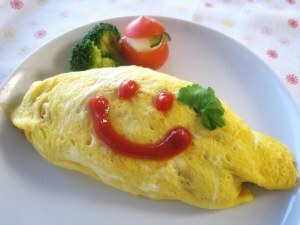 Omuraisu is a popular dish in Japan which consists of an omelette with rice inside and a squirt of ketchup on top. 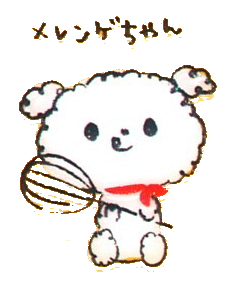 The photo on the left is an example of omuraisu decorated with a smile just like Tamagoinu likes to do! 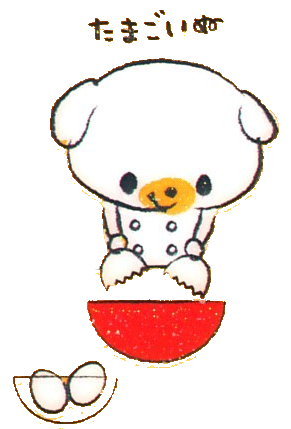 Read more about Omuraisu here: Omuraisu (aka omurice or omu rice, Japanese rice omelette). We started a restaurant with delicious egg dishes. 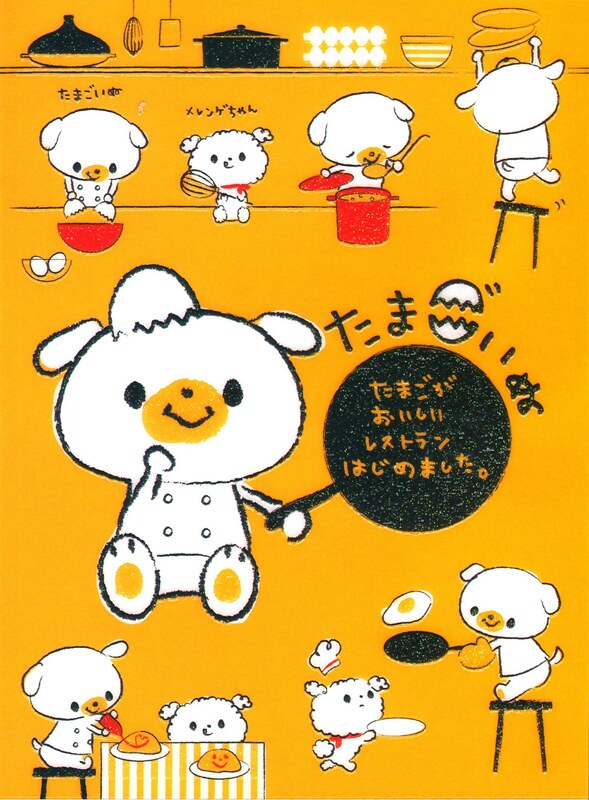 It is a restaurant with plenty of eggs and devotion.